Many cascades and falls wait along this magical path. 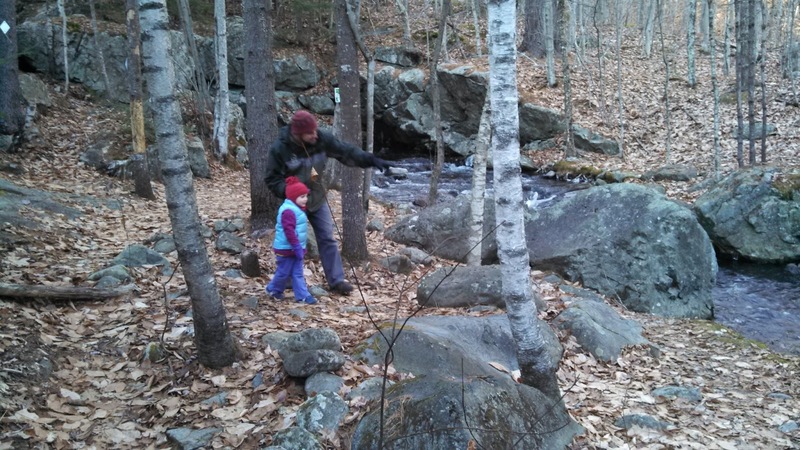 There is a secret gem located in central New Hampshire: the Ossipee Mountains. The area is full of short hikes to granite ledges and open peaks, waterfalls galore, and no crowds except on a handful of locally popular hikes. 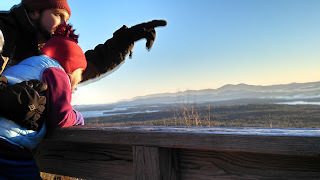 A visitor to the Ossipee Mountains will wonder why they have never heard of this magical place before, as it is full of wildlife and offers much of the same exhilarating scenery as the White Mountains. The views south over Lake Winnipesaukee are breathtaking. The Brook Walk at Castle In the Clouds is a delightful trail that leads past five waterfalls, culminating in one of the most idyllic falls in New Hampshire, the 40-foot high Fall of Song. Unlike most hikes, this one starts high in the hills and descends along the brook to your destination. This shorter distance (1.6 miles round trip) offers so much to young families. 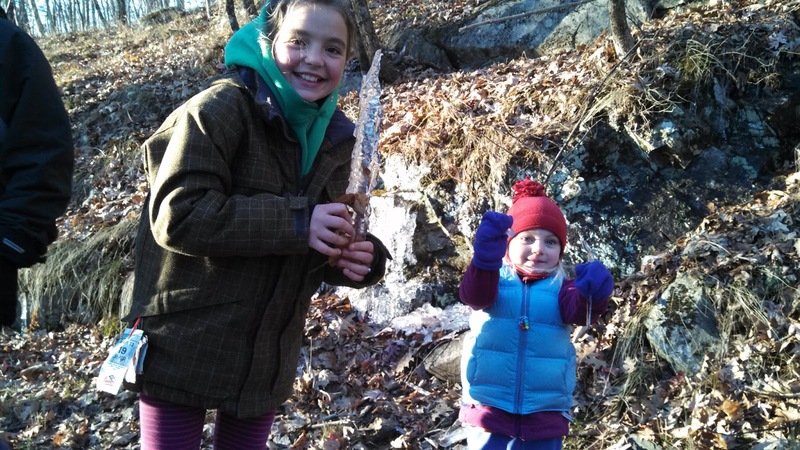 Kids will love the sense of excitement in discovering each of the 5 waterfalls along the route, and folks of all ages will appreciate the free-falling and wild Fall of Song. Visiting in the spring or after a heavy rain is particularly exciting as the water shoots out over the ledge and falls 40 feet into the small gorge below. 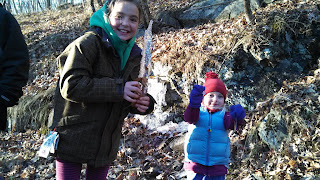 Fall hiking means harvesting icicles along the way! Castle in The Clouds is a historic mountain top estate that offers tours and a restaurant overlooking Lake Winnipesaukee. The true beauty of the place is that 5,200 acres surrounding the Castle have been preserved by the Lakes Region Conservation Trust for hiking, XC-skiing, and outdoor recreation. There is also the historic mansion to visit (fee applies), a horse stables with trail rides available (fee applies), and hikes to seldom-visited peaks with stellar views of the White Mountains and Lakes Region. For the Brook Walk, start at Shannon Pond near the trailhead, walk across the dam and head right on the Brook Walk Trail. You will cross a bridge over the brook, and then stay left along the banks of Shannon Brook as you pass Bridal Veil Falls, Roaring Falls, Twin Falls and Whittier Falls and finally to the 40 foot Fall of Song. To return, you can either hike back up the way you came, or continue down the wide gravel path past Fall of Song for about 1000 feet where you will intersect with the auto toll road. You can hike up the longer but more gradual road past several viewpoints to return to the trailhead. The traffic on this one-lane road is one-way and generally very slow, but keep a hold of the toddlers nonetheless. Moultonborough on NH 25 offers a fine collection of restaurants and delis. A special treat in Moultonborough is the Old Country Store, known as the oldest store in America, operating since 1781. More than just a tourist stop, they offer old-fashioned candies, cheddar cheese, iron goods and picnic fixings. Buckey's Restaurant at 240 Governor Wentworth Highway (NH 109) has excellent pizza, burgers, pasta, and salads. You may find a live band, karaoke, or a game on the TV as well. If you are there in between Memorial and Labor day, there is a fun mini-golf course out back.